Armageddon is an open editon print taken from my Book of Angels. 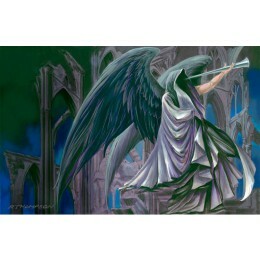 Armageddon was created for The Book of Angels for Barnes & Noble. 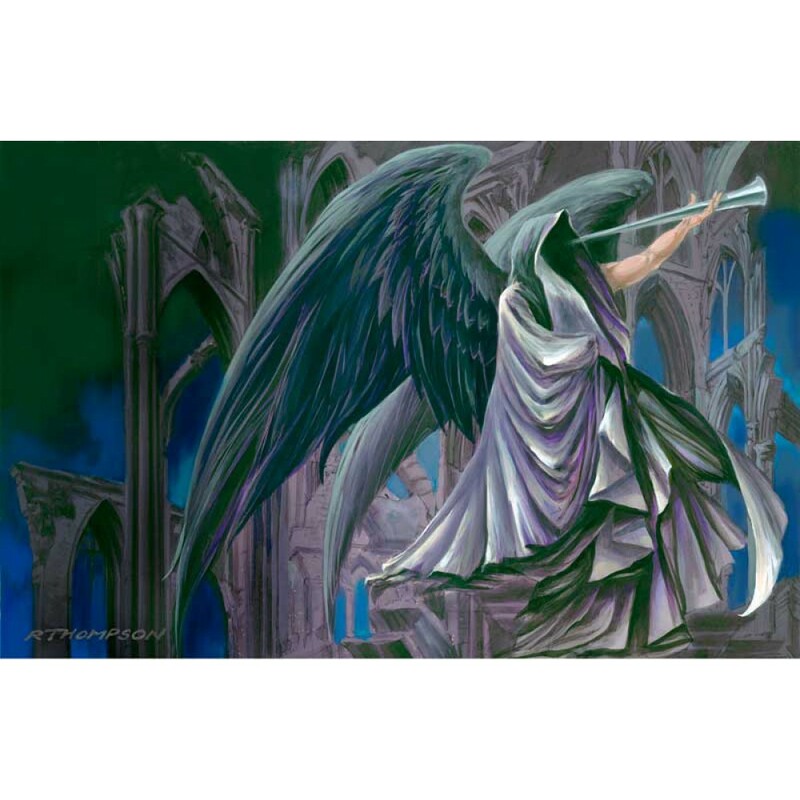 I painted this depicting Gabriel blowing the Horn for the End of Time. It was a darker piece for me, difficult but we all have darkness and shadows in our lives.